Beautiful Farmhouse Bathroom, Living Room, and Bedroom Set options. Our decor sets are customizable to fit any decor! Each set is made to order. These make great gifts! Housewarming, wedding, birthday, baby showers, college gifts, Mother's Day, Christmas, office gifts, etc. 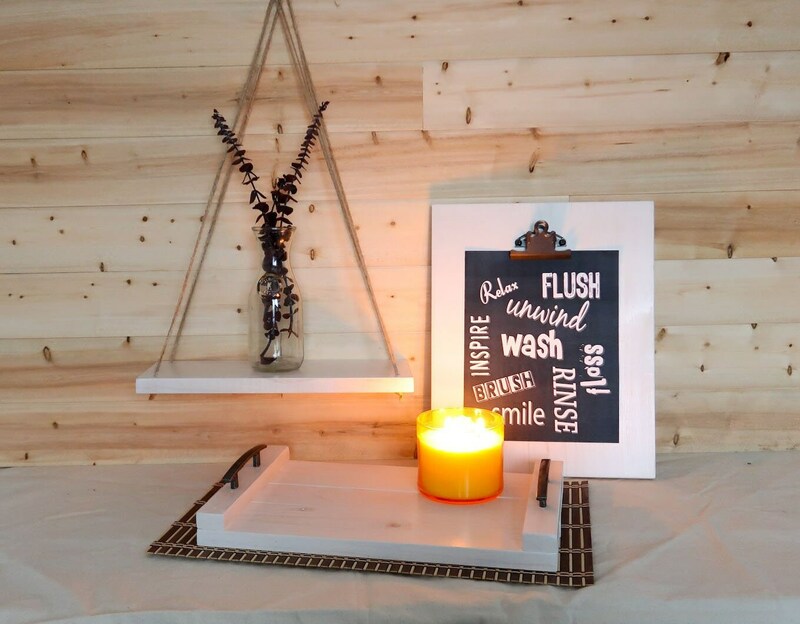 These items are great for displaying potted plants/succulents, framed pictures or provided print, candles, face towels, makeup brush holder, and other bathroom or living room items. They also are great in the Kitchen for putting decorative spice jars or other kitchen items on display. 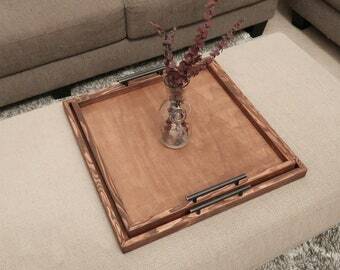 Their minimalist design makes them adaptable to any decor style. Pick from different sizes, and stain colors. They add beauty and style to any room!! - Shelf - 13" x 5.5"
- Tray - 15" x 9.5"
- Clipboard Sign/Frame - 14" x 11"
- Shelf - 17" x 5.5"
- Tray - 18" x 12.5"
- Shelf - 20" x 5.5"
- Tray - 21" x 12.5"
- comes with black collage print with white text unless otherwise requested. *Potted Plants, candles, and other accessories not included. Custom Order Sales are Final. No returns, refunds, or exchanges permitted. *Colors are approximate and not exact matches to what is seen on screen, as screens vary. Couriers we use: https://www.usps.com/help/claims.htm, or at Fedex.com, or at UPS.com.